Warning – I’m writing this post and I’m angry. The post might (actually, will) contain images of death and destruction. It will talk about a story that is largely being ignored by Western media, yet has been claimed to be one of the main environmental disasters of the 21st century. 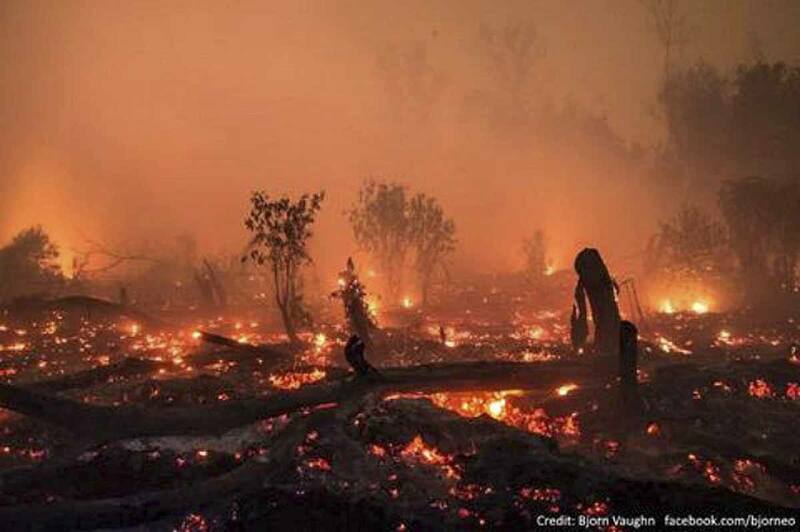 I’m talking about the fires in Indonesia to clear the rainforest for palm oil plantation. And I’m talking about their direct consequence – the Haze with capital H, a toxic cloud that has hung over Indonesia, Malaysia and Singapore for weeks, killing a number of people and endangered wildlife, and putting the lives of millions of others at risk – all for the benefit of a selected few. We’ve spent a week in Singapore during the Haze. 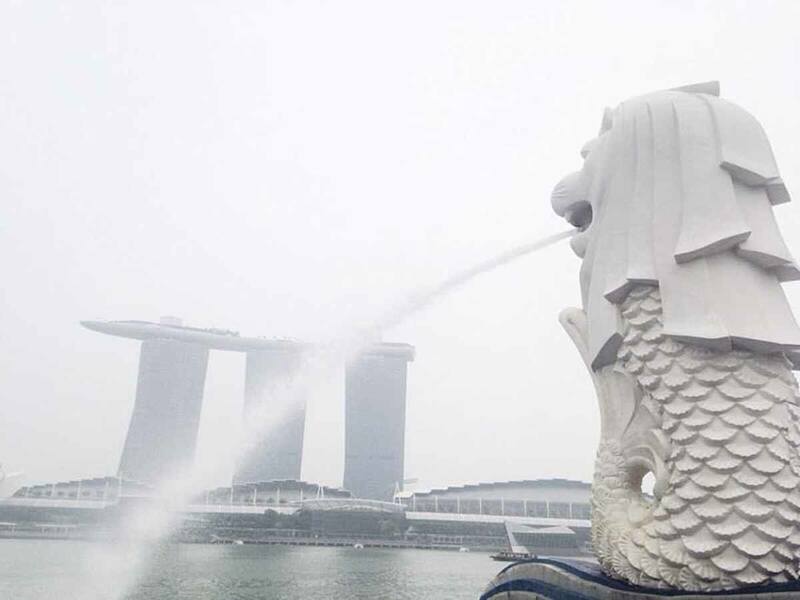 The Lion City was pervaded by thin, milky-colored mist. Visibility was severely limited, and most locals wore N-95 filtrating masks. A few days spent walking the street were enough to give us sore throats and persistent coughs. But it wasn’t just any other cough, that I can say for sure. The Haze seeped inside of our lungs, leaving a nasty, sticky residue of chemical waste. We both had sore chests and coughing fits that left us spitting up lumps of phlegm, even over a week after our departure. The phlegm was greyish, thick and sometimes had hard edges. I swear I’m not lying – that stuff was all kinds of nasty. But this post is not about me, even though it was seeing the Haze situation in first person that prompted me to write this piece. I have had enough of people complaining on social media of how the Haze disrupted their travel plans. This isn’t about travellers, about the brief discomfort we have to face while visiting Haze-affected areas. It’s not about cancelled flights, about us not being able to check that bucket list item. This is a much bigger issue. Millions of people live in Singapore, Malaysia and Indonesia, and have to put up with not being able to breath for months, every year. Every single year. I can’t even imagine thinking the health consequences they will suffer. Ten people have already died as a direct consequence of the Haze – but I’m sure the long-lasting consequences of such exposure will be severe. It has been estimated that fires are producing more carbon emissions in a day than the whole of the US economy, and emissions as a result of the fires so far exceed those of Germany in one year. On top of that, there are the consequences of habitat and biodiversity loss – orangutans, one of the most endangered species, are at risk, especially the babies. 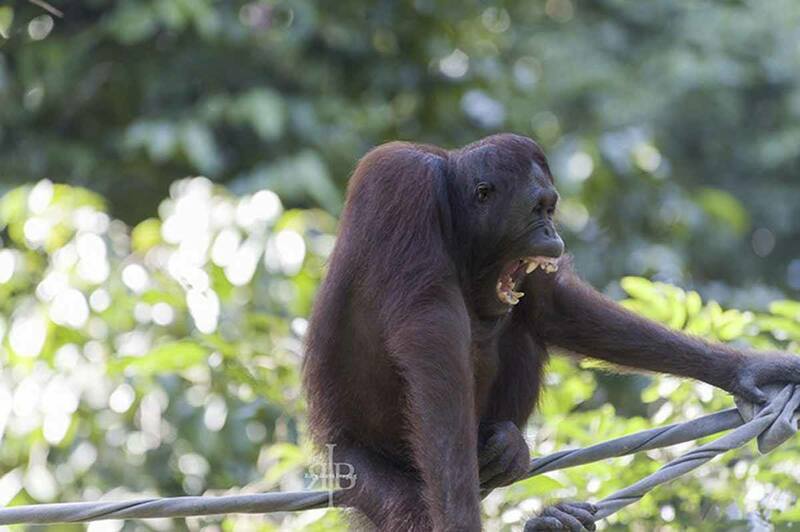 Fires have encroached rescue centres in Kalimantan (Indonesian Borneo), leaving no alternative but to evacuate or shelter the apes indoors, both options that cause them great stress. Check this great post on Green Global Travel, in which representatives from International Animal Rescue highlight the orangutan plight. 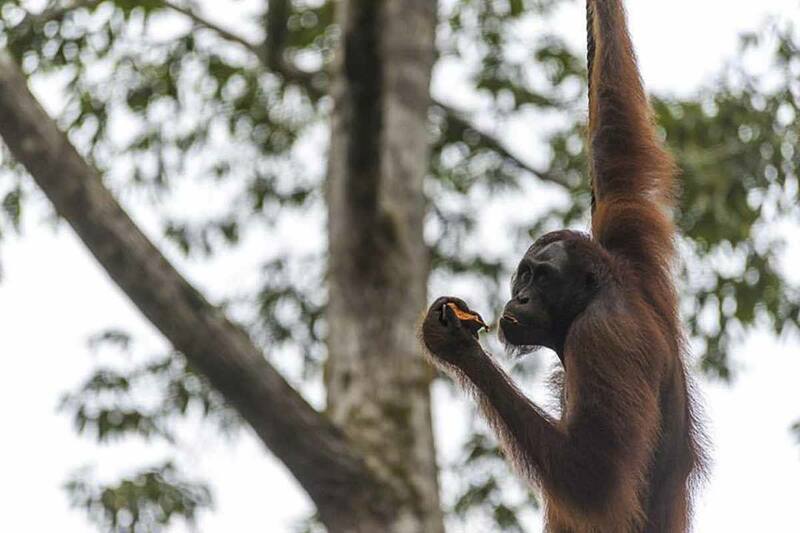 Meanwhile, it has been estimated that over a third of wild orangutans (currently about 54,000 in Borneo and 6,600 in Sumatra) are being threatened by the fires and their environmental consequences. Fires are destroying their habitat, levelling hectars of primary rainforest, pushing the orangs onto the ever-increasing palm oil plantation where they might meet the rifles of the guards. All this destruction, in the name of what? Palm oil, a vegetable oil contained in pretty much every kind of packaged food, as well as soaps, detergents, ice creams, margarine… and many, many more. Just check this site to learn more. 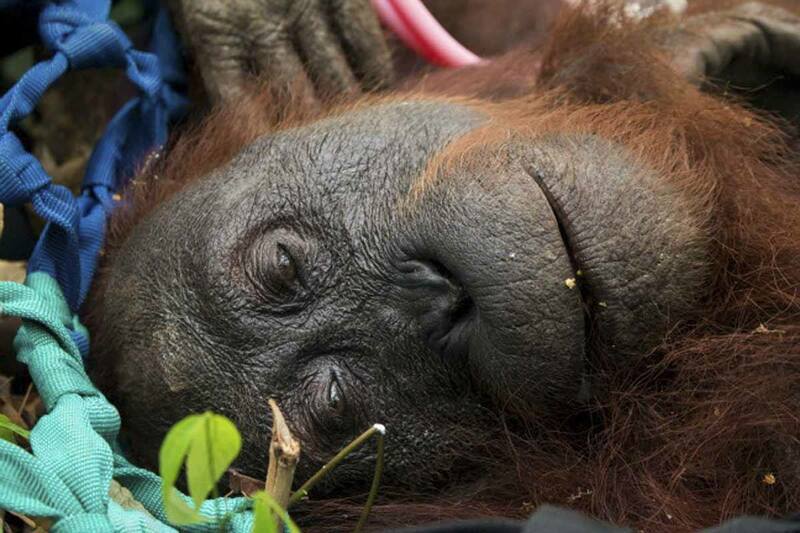 This is my heartfelt message to you – PLEASE learn about palm oil. Let’s start from the beginning. Once upon a time, there was an island called Borneo. One of the biggest islands in the world, Borneo was completely covered in rainforest, inhabited by all kinds of weird and wonderful wildlife – including orangutans, dubbed by natives ‘men of the forest’ for their uncanny similarity to humans (orang utan means man of the forest in Malay, Indonesian and many native languages). The rainforest was so thick, that the natives said orangutans were able to cross the whole island, swinging from tree to tree, never touching the ground. And then palm oil arrived. Palm oil, in fact, is not a modern invention. It originates from West Africa and it has been consumed since the times of Ancient Egypt. The need for palm oil increased during the Industrial Revolution – it was used to make lubricants, candles and a variety of other products. The nutritious fruits of the palm, from which oil is extracted, were used as food during long transoceanic sailing journeys. It has even been argued that palm oil has been one of the driving forces behind the Industrial Revolution. Palm oil plantations were set up in Sub-Saharan Africa, and then Southeast Asia. The first commercial palm oil plantation was set up in Malaysia in 1917 – the number of plantations increased dramatically from the 1960s onwards, when the Malaysian government offered subsidies to eradicate poverty in rural areas. The same happened in Indonesia, the world’s biggest producer of palm oil – production increased from 157,000 tonnes to 33,5 million tonnes between 1964 and 2014. 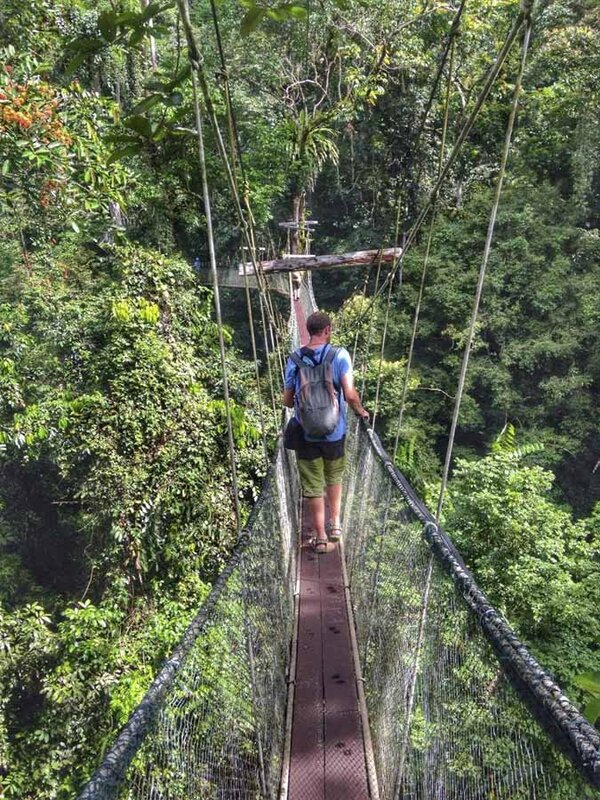 Borneo has the perfect climate for palm oil plantations, and the rainforest offered the perfect terrain. Palm oil is a so-called ‘golden crop’. Its yield is incredibly high – having a palm oil plantation is pretty much guaranteed profit. To give you an idea, the yield of a hectare of palm oil is over 3.5 tonnes, 5 times higher than soya. Much of Kuala Lumpur and Jakarta’s steel-and-glass ostentation has been built on palm oil profits. Many wealthy Malaysians and Indonesians (and a sizeable number of multinational corporations, for that matter) have one or more fingers in the palm oil pie. Admittedly, palm oil has also done a lot for small rural farmers – nowadays 39% of Malaysia’s palm oil plantations is owned by small farmers. Yet, palm oil business remains largely in the hands of half-dozen big distributors, who act as middlemen between growers and food manufacturers. Small farmers have been blamed for starting the fires. No one knows for sure whether this is true or not, but the fact remains that palm oil plantations have altered permanently the landscape and human geography of Borneo – clearing ancestral land used for hunting and gathering, displacing wildlife and communities, turning nomadic tribes into sedentary – for many small farmers, growing palms was probably the only alternative to poverty. Whoever lit the match frankly doesn’t matter. Borneo is dying. And the world is doing nothing. Five years ago, we visited the Malaysian state of Sabah, in the northern part of Borneo. We loved the waterfront of Kota Kinabalu and hiking around mighty Mount Kinabalu. We also got the chance to visit Sepilok, a famous orang utan rehabilitation project. And I remember the oil palm plantations. They were literally everywhere. 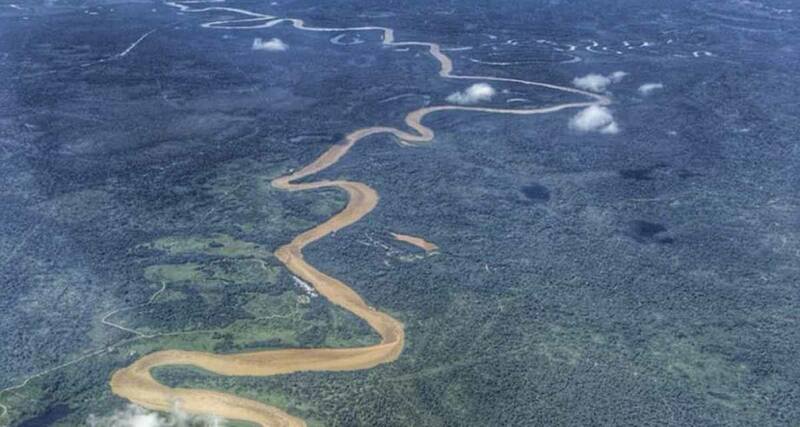 The Kinabatangan River area, that I so loved visiting in 2010, owes part of its fame to palm oil. Plantations pretty much erased primary rainforest, that which survives is only in distinct parcels concentrated around tourist resorts. Orangutans, proboscis monkeys, gibbons, monitor lizards and others have been pushed into these small parcels, making wildlife watching easy. Behind a 50 m strip of forest on either side of the river, there are just palms. Palms as far as the eye can see. As I write these lines, I am in Sarawak, the other Malaysian state in Borneo. The situation here seems better – I haven’t seen a single plantation. No doubt there are some, but our guide described that far less land compared to Sabah has been given over to plantations, because Sarawak’s land is under state control, whereas Sabah’s is under federal control. On top of this, it sounds like the Sarawak government is starting to understand the value of ecotourism. Nature is the state’s drawcard, and sizeable funds are being invested for the creation and management of the 18 national parks. Sarawak has been under pressure from the international community for decades, after depleting its forests giving out reckless timber concessions. 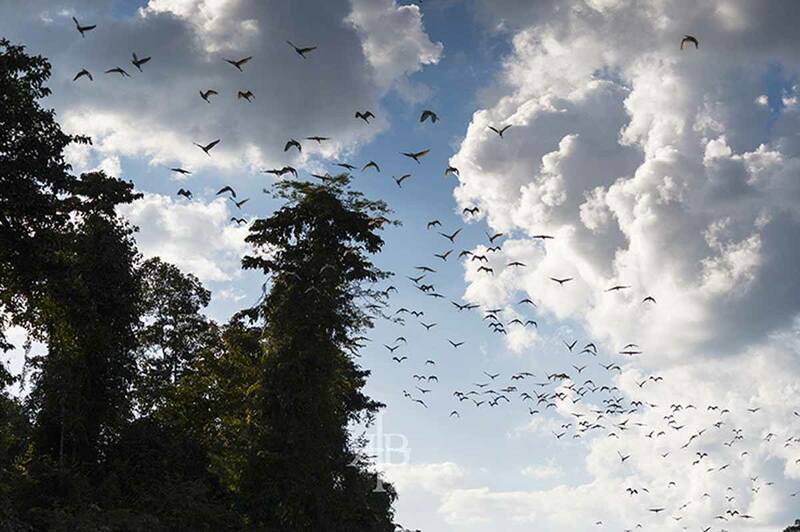 Timber companies are now asked to plant trees in previously deforested areas, and our guide told us that ‘selective felling’ is on the rise – instead of cutting down large swathes of forest to get to a few hardwood trees, only selected trees are felled and then airlifted away. As I said, Sarawak land is managed on a state level. Perhaps, it’s easier to give concessions to palm oil plantations when you’re sitting in a steel and glass high rise in KL, and the land you’re talking about is somebody else’s, much harder when you’re talking about your own ancestral land. Or maybe the motives aren’t quite so noble, and the land is in better condition just because of international pressure – that I don’t know. 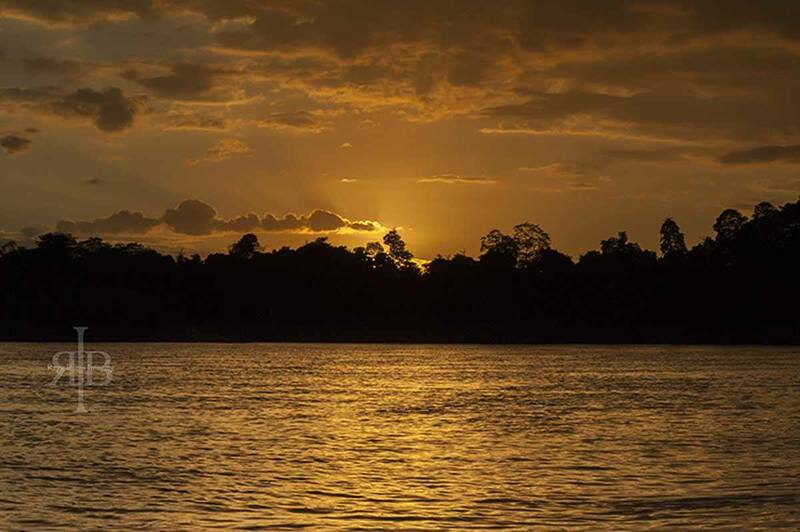 Borneo could be an ecotourism haven. It has mountains, caves, forests, rivers, islands and – naturally – rainforest. It has wildlife. 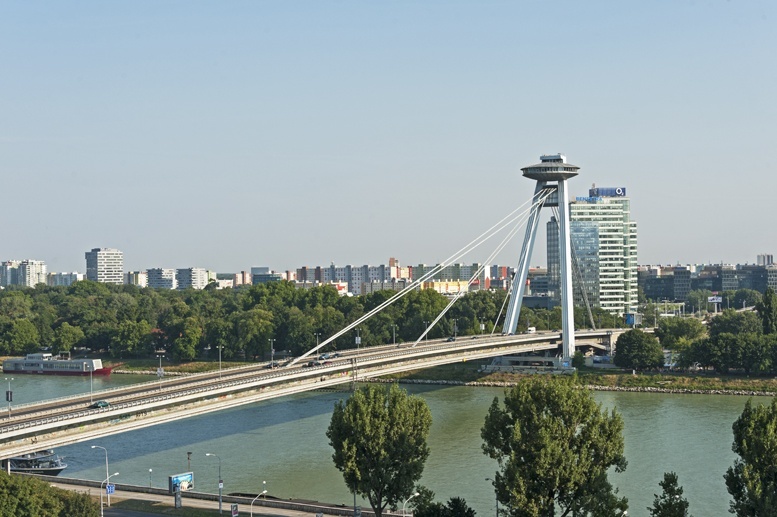 It has opportunity for adventure activities. 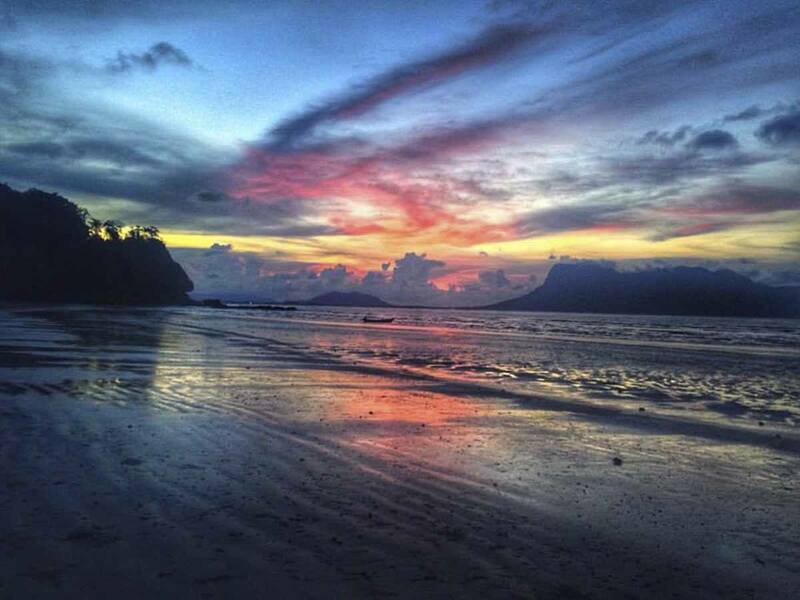 It has beaches with stunning sunsets. It still possesses that ‘wild’ feel that made so many of us fall for the island. But how long is it going to last? The question, now, is what we can do as individuals to stop this massacre. I would advise you all to remove palm oil from your diet, but I am sure that it is near impossible. Palm oil is literally everywhere, so unless we all decide to become off-grid hippies, we’re stuck with it. So, what can we do? Limit your consumption of palm oil products as much as possible. Study product labels. Bake cakes instead of eating packaged sweets. Ditch junk food. Buy your shampoo and moisturiser from organic shops. If you really must, strive to buy palm oil-containing products only from companies using sustainable palm oil. The Roundtable on Sustainable Palm Oil (RSPO) is an association of palm oil producers, growers and consumers with the mission of making sustainable palm oil the norm. Look out for the RSPO or the Green Palm sticker at the supermarket – the latter is to certify companies during their transition to fully sustainable palm oil. The palm oil industry is also closely monitored by the WWF, who releases periodically a palm oil scorecard, monitoring companies on their efforts to use sustainable palm oil. If you can, come to Malaysia or Indonesia on holiday. Palm oil has indeed brought wealth and development, but ecotourism can, too. Support eco-friendly local businesses, use a sustainable-minded tour operator and make sure you visit an orangutan sanctuary, to meet first-hand those gentle giants that are now suffering the consequences of the fires. In Malaysian Borneo the two main sanctuaries are Sepilok in Sabah, right in the middle of palm oil country, and Semenggoh in Sarawak. Not convinced? Look at Costa Rica. They pretty much invented the term ecotourism. Leveraging their natural beauty in a respectful, sustainable and non-invasive way, Costa Rica became one of the leading countries in the world for ecotourism. Since 1999, tourism brings more revenue to the country than coffee, bananas and pineapples combined, the three main cash crops of the country. On top of that, investing on ecotourism brought a massive decrease in unemployment (7.8% in 2012, lower than most of Europe) and several logging industries shut down. Why can’t it be the same for Borneo? Additionally, choose to support NGOs doing work on the ground, like International Animal Rescue. Whatever you choose to do, please don’t let this tragedy go forgotten. Thank you for this. 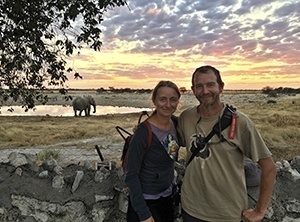 I travel for nature above all, and too often the environmental issues we most need to address in the places we’re travelling get lost behind the glamour and adventure of travel blog posts. Will definitely be checking out that palm oil scorecard. Thanks you so much Katie! It’s important to spread awareness. THANK YOU! Will share this all over, people need to be educated! Thanks for this, you wrote the article that I wanted to write for so long 😉 Well done. Thanks you Sab for reading and sharing! As someone who has researched going “off grid” and a more traditional lifestyle, I am concerned by your post. I should add that I live partly in palm oil rich west Africa, and in Europe the rest of the time. Palm oil is a superfood. It is virtually a requirement for living especially for the vegetarian. It is also, as you comment, a very good crop in terms of product volume energy yeald etc. Frankly these crops are so much more of benefit than the dangerous corns, wheats grown elsewhere. What is more the issue is population volume. Not Palm oil. Thanks for reading and commenting this article. I must say I disagree though. Palm oil may indeed be energetic but it’s also a saturated fat so it can be detrimental to health. I know many vegans and vegetarians who have commented on this post that do not maintain consuming palm oil. Plus, you may be right in mentioning wheat and corn are dangerous too, but last I checked rainforest wasn’t burnt to make space for these crops, and there was no toxic cloud as a result of that. Maybe I’m wrong though. If I am, could you point me to some material documenting otherwise? Very, very spot on Marg! I’m forever grateful for this article. We westerners are probably the biggest consumers of palm oil, therefore the blood is on our hands. I don’t consume palm oil and this might be the only “vegetable ingredient” that is basically not even considered vegan because of the devastation it causes. I wish to see more and more countries copying the Costa Rica model of sustainability. It is definitely possible. But I have to add that the meat industry has an ever nastier impact on our planet and at a global scale… 😉 I’m sharing this article, hope it makes people think twice. Thanks for your comment Yara. It means a lot, coming from you. I have removed palm oil from my diet a couple of years ago, but for instance I had no idea it was in creams and shampoos as well. As for meat… you’re totally right. Thanks for sharing! Great post. 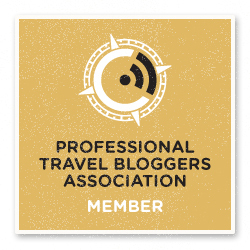 It is the third post I read this week about the Borneo, and I am happy that travel bloggers are raising this issue, as the more traditional media prefer to ignore it. Avoiding palm oil products isn’t easy, but it is doable. I have already started ditching palm oil products from my diet and anyways I have always opted for organic beauty products for my skin. They are better for the environment and they are waaaay better for my skin too. You are completely right: ecotourism is the key out of this and many other humanitarian and natural disasters. I advocate for that even in my very own Sardinia which at the moment is facing a terrible financial crisis. And it is even more important for a place like Borneo, from whose habitat human kind and animal life depends. I actually, as I type this, am uploading a video on my YouTube channel from my recent time in Phuket. (The haze actually has gone across Thailand too and up to Myanmar even!) At the time I was there I didn’t fully understand what had caused the haze – because I had heard nothing about it! – but since then I discovered just how severe things were and so I’m trying to put as many links as I can about it in the video description. I’ll be including a link to this blog post as well because it’s brilliant. Thank you so much for your kind words. Please tag me or send me a link to your video, I’l share it on my FB page to show people the real effects of the Haze. Thank you Margherita! My video is at https://www.youtube.com/watch?v=jxLxd8ANem0 . I’ve got a lot of footage of Kata Bay in southern Phuket which is normally full of sunshine and blue skies, but all we saw in those first few days was dismal grey. I tried to keep it lighthearted as I was trying to keep my experience positive but you can definitely see just how oppressive the haze was. Thank you for writing this, Margherita. I must admit I’ve been very ignorant about the Haze, until I read your post. As for palm oil in our diets, you’re right it’s nearly impossible to eliminate it all, unless we were to go 100% vegan, which is a huge challenge for me living in a country like Saudi Arabia where most foods are processed fatty foods loaded with palm oil! But palm il has been on my radar for a long time for health reasons, it being a dangerous fat to conume. This post will have me looking at lables even more carefully. And the sodium laureate is palm oil origin too! This was huge eye opener..Wow. Kinda sneaky isn’t it? Indonesia has been on my radar for some while, but your post encouraged me to want to visit even more. I’m sure my kids would love it too. Thanks for the excellent write up, I can see you’ve put a lot of time and effort into compiling this. Going to share on my social media channels. Thank you so much Laura. You’re right, giving up palm oil 100% is very hard unless we start baking everything ourselves and buy organic beauty products – I understand many don’t have the time or the money. This is why I believe researching the RSPO registry and making choices on the basis of that is a good alternative! Even many vegan products contain palm oil. The way out of this is very very hard. True.. It’s almost like a global conspiracy to get the entire world hooked on this stuff! Sadly I haven’t been to Indonesia, but I’ve spent a lot of time in Malaysia (both Peninsular and Borneo). I can surely give you lots of tips – I’m sure your kids will love it, a massive change from Saudi, there are trees and plants everywhere! I’ll write more about Sarawak (Malaysian Borneo) soon, but for now, I can recomment Gunung Mulu national park (caves & bats) and Bako national park for kids, and of course Semenggoh where they can see orangutans! I’m sure they would feel we have traveled directly into a fairytale book ? Thank you for writing such a great and informative post. We are aware, but it seems not enough. Keep sharing your precious experiences. Thanks my friend for this article!! I was waiting for it 🙁 and to learn a bit more about palm oil. Didn’t know either that Costa Rica has improved so much in ecotourism and happy to have a good example to follow! Thank you for reading Ale <3 I really wanna go to Costa Rica now! Heart-wrenching post. I honestly am feeling so sad hearing about this, but I am so happy you guys took the time to write about this massive problem. I didn’t know the whole story behind palm oil, and although I knew about the burning etc that is destroying nature, I wasn’t aware that this problem was affecting humans too (which as sad as it is, might be a bigger catalyst for the governments of this places to do something about it). I also had no idea about the extent of the issue! I believe like you, that it’s still not too late to fix this mistake, and Eco tourism can be surprisingly the best tool to do so. I was just in Monteverde Costa Rica a couple of weeks ago, and learned that farmers who saw the benefits of tourism started getting rid of their farms and planting more forest instead, so they could create canopy tours and zip lining attractions… The result is not only that the Monte Verde & Santa Helena cloud forest reserves were protected, but the rainforest around them actually grew up in size by about five times since the 1990s, creating a greener nature wonderland / habitat for animals, while actually bringing much more money to the owners of the land. The biggest issue as you say is that palm oil is everything, and it’s devastating to know that most corporations we support frankly don’t give a crap about this disaster. They seem to be as short-sided about it as the small farmers who genuinely only see this as their only means for survival. Thanks so much for providing us with the big picture of the dark side of the palm oil business, Margherita. I’ll definitely share your post to make people aware of this scenario. I hope this can help a little more our community. Thanks. Great work! I just can’t get over the destruction of these most recent fires. Thanks for drawing attention to the issue. It’s unbelievable how little fuss there has been about it! A friend of ours has recently been making her own digestive biscuits just to avoid eating palm oil. It’s very impressive and we should all try and do the same, but there needs to be some more forceful actions from governments too I think. How can this planet possibly afford to be burning forest?! I recently came back from Malaysian Borneo and I was shocked to see how much of the land is covered by palm oil plantations, you can easily see it from the window plane. You don’t realize what it does until you are there and see it with your own eyes. I have visited the sanctuaries and saw beautiful animals who have no where to live anymore. Very sad. I completely support your call to action. Hi there! I found your article through the TSG Media group (I just joined) and am so glad to see you writing about such an incredibly important topic! 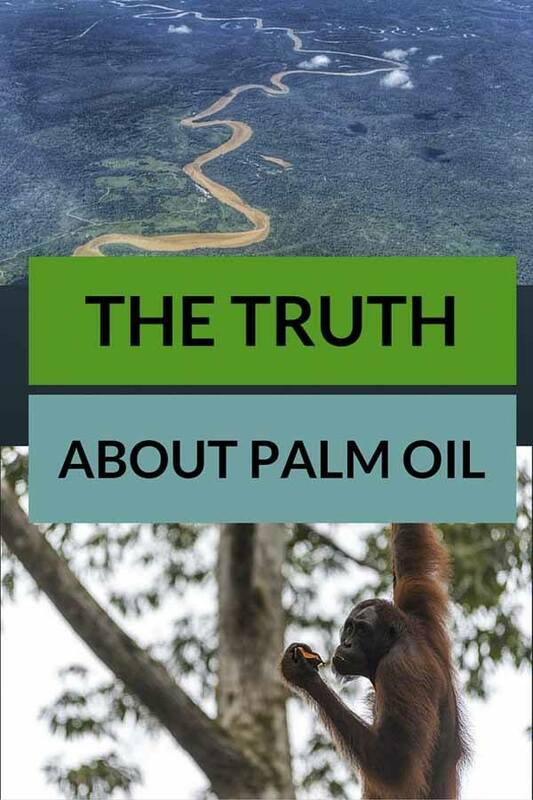 I have too written about palm oil (here is the link: http://thirdeyemom.com/2014/03/13/the-palm-oil-controversy/) and it frustrates me how few people know about the terrible impact it is causing on the environment and our animals. This is an excellent, well written article that I am going to share. Thank you! Thanks so much! These stories need to be told. 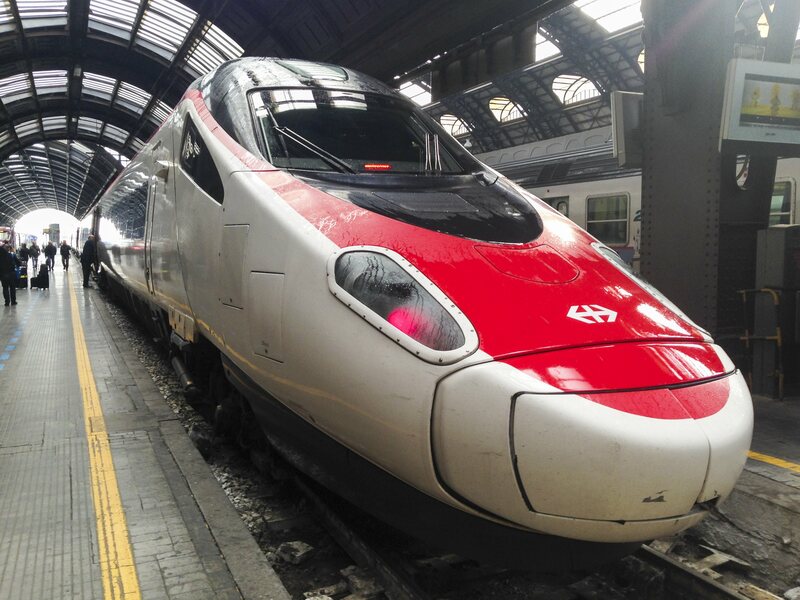 Travel is not just about cocktails and beaches. Thanks! Thanks you ! An impassioned overview of the symptoms of deforestation and the main driver – palm plantations. This is written just as IOI – big Malaysian palm oil conglomerate [& RSPO founder] – is suspended from the RSPO due to ethical concerns. Thanks for your great comment Paul – a really great insight.